For those of you planning your menu for Passover - or for anyone looking for a quick, tasty appetizer idea- here’s a fun and colorful twist on the traditional Jewish dish, haroset. Haroset is usually a blend of fruit and nuts made during Passover (which starts a week from today). 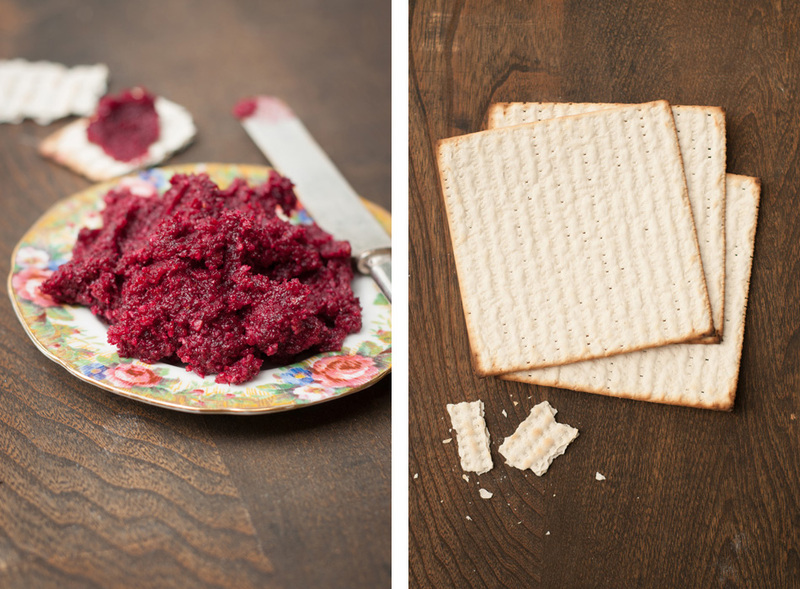 Sometimes chunky, sometimes smooth, it’s often served on matzoh crackers. I replaced the usual apple with beets to rosy things up! It’s a sweet nutty spread, so the radishes on top add a nice bitter balance. For more Passover menu ideas, check out the Passover Seder we hosted at our cabin in the woods last year.